All Blacks coach Steve Hansen has given star centre Sonny Bill Williams his blessing to make a return to boxing after nearly four years out of the ring. Williams (7-0-3KO) will fight against a yet-to-be-confirmed opponent in Sydney on December 1, nearly four years after his last fight against American Chauncy Welliver in January 2015. 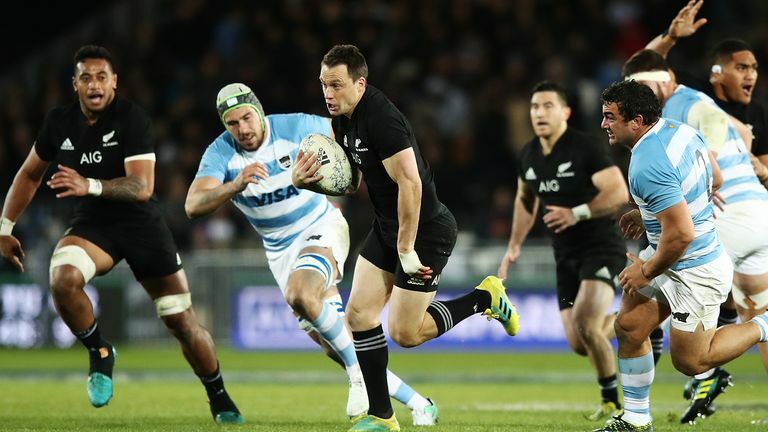 The fight falls on the weekend after the final match of the All Blacks' November tour of Europe, against Italy on November 24. Hansen says he has been given assurances from Williams and his agent Khoder Nasser that the fight will not impact the 33-year-old's availability for the tour. "I think he's just going to get off the plane and do it. It's the sort of athlete he is," Hansen said. "He's pretty confident. Khoder's confident that what's going to take place won't be of hindrance to him. "So you've got to back their judgment." Williams has been out for three months with a shoulder injury suffered against France in June but is in contention to return next weekend against South Africa. He also missed significant time in recent years after rupturing his Achilles while playing sevens rugby at the 2016 Olympics and injuring his knee but Hansen is not concerned that returning to the boxing ring will put Williams at an increased risk of injury ahead of the 2019 World Cup. When asked about it, Hansen said: "No. We've got guys boxing all the time as part of their training. It's more of an exhibition fight than a go-down-and-knock-yourself-out fight, if that makes sense." Williams has yet to reveal who his December opponent will be but he did confirm it will not be rugby league star Paul Gallen (7-0-4KO), who is also undefeated as a boxer. Cronulla Sharks captain Gallen, who is also a former captain of the New South Wales State of Origin team, has been calling out Williams but the All Blacks star has told him he will have to wait. "Tell my good friend Paul, he can just relax and we will get there eventually," Williams said. "He keeps calling me out by attacking me and questioning my manhood. That kind of talk, I'm past that stage in my life.